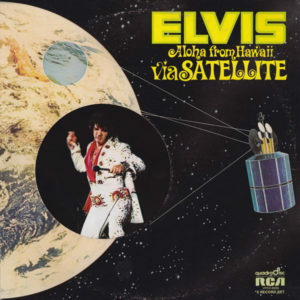 Aloha From Hawaii Via Satellite is a landmark in Elvis’ career, even if on purely musical terms if falls a little short of other live recordings of the era. His manager Col. Tom Parker arranged the concert for broadcast via satellite, a historical first made possible by recent space-age technological advances, allowing a worldwide audience to watch the show live. Well, almost. The concert took place at the same time as Superbowl VII, meaning it did not air live in the United States. But that didn’t matter. Elvis performed regularly live all across the United States. The global broadcast, however, introduced him to Asia. The event is often cited as a key reason for Elvis’ enduring popularity in Japan — a sitting Japanese Prime Minister (Junichiro Koizumi) even visited his Graceland home decades later. As for the music, the songs track the standard Elvis set list for the time period. The videotaped performance shows Elvis unnerved. He seems to be chugging along in some form of drug stupor. But which one? Nevermind. While he may have been a huge star, a show this big and unprecedented surely put even him under stress. He sings well, though not at his best. This is big, gaudy, bombastic stuff. So the songs that lean most heavily on the surging orchestra behind him tend to work to the greatest effect. 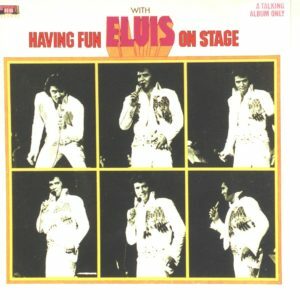 This is another fine live offering from a time when Elvis still “had it.” It’s long, covers a lot of different types of songs, and walks right up to the line in terms of its kitsch factor. It’s a good album to listen to just about any time. Due to the novelty of a live satellite broadcast, the possibility of technical difficulties was significant. So Elvis pre-recorded an entire show (later released as The Alternate Aloha), to be used during the broadcast timeslot if needed. It wasn’t needed though. Everything went as planned. 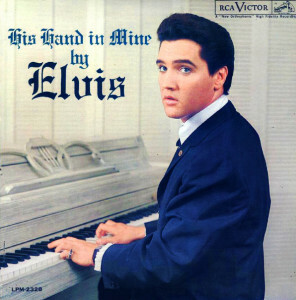 There were, however, five songs recorded without an audience appended to the original TV broadcast omitted from this album (posthumously released on Mahalo From Elvis). Elvis had a contract with RCA records that required him to deliver a certain number of albums on a specified schedule. The problem was, Elvis developed something approaching a fear of the studio and, with a somewhat deteriorating mental state dogged by depression, he could not deliver new music. Coming to the rescue, his manager Col. Tom Parker assembled the chaff of live concert recordings — the between-song banter — and released it as Having Fun With Elvis on Stage. Aside from all that, what is amazing is that RCA actually accepted this album and released it, perhaps desperate to make a buck off anything with Elvis’ name on it, placing it among the most bizarre major-label releases in history. It’s also rather sad in how it reveals that Elvis’ health and well-being weren’t really at the top of the list of priorities for his record label or many of the people around him. There is a frequent accusation that Elvis Presley was racist — or appealed to racists, or some such similar accusation. Rappers, from Chuck D of Public Enemy to Mos Def to others in hip-hop have taken pot shots at Elvis along these lines — some of those statements later retracted. But is there any merit to this claim? It is a thorny issue, and whole books and more have been written on the intersection of Elvis and race. Notice how the 1974 decline of the working class coincides almost exactly with Elvis’ post-1972 decline? This is not to mention how Elvis’ rise to stardom starting in 1954 at Memphis’ Sun Records coincided roughly with the beginning of the post-WWII “Golden Age”. As most rejoinders to the “Elvis was racist” claim lay out — as with biographer Peter Guralnick‘s noted essay — Elvis should not be seen as a cultural pirate, appropriating black music for the benefit of white men. Elvis had a deep and abiding respect and admiration of black music, from gospel to R&B and more, and often quite humbly expressed his debt to that music publicly. The real gripe tends to be an economic one: as a symbol of post-WWII prosperity that was denied to most black people, Elvis became a symbol of “racial” inequality, despite the way his music appealed to an ersatz kind of economic equality among his white fan base. The real question is whether it is fair to pin this on Elvis. Just as the punk/oi band Sham 69 was saddled with a skinhead/neo-nazi fanbase that they actively opposed, what responsibility does Elvis bear in this context? Is it really the “structural racism” of society at large, or even of critics that is to blame instead? “The matter hinges on what is meant by ‘middle class’. This is no ‘merely’ semantic question. The term is at the core of the justification of modern capitalism, and connotes not merely a statistical income level, but is meant to convey the relation between one’s willingness to earn a living, i.e. to work hard, and the possibility of achieving a desirable standard of living as a reward for one’s work. The example above, describing the benefits available to the one-breadwinner family during the Golden Age, is meant to imply that those benefits are the just deserts of hard work. *** The middle class gets what it deserves as a reward for its labor. But the truth is that the working class has never been able to achieve economic security on the basis of its wage. This is the issue raised decades after Elvis’ death by pop singer Nicki Minaj, who, in one writer’s estimation, “refus[ed] to apologize for wanting to be visible and rewarded like her peers”. (One can set aside the sheen of presumptuousness in self-selecting one’s “peers” to be the most famous and highly compensated entertainers in the world). One way to approach the question is to ask how Elvis was involved in movements for racial equality. The answer is that he wasn’t, at least not in an explicitly political way. Rather than activism for equality, Elvis — especially in his early musical career in the mid-1950s — represented a cultural shift that denied the premise of racial segregation and Jim Crow laws. He, along with others, advanced a music vision that was simply incompatible with racial segregation — a “deterritorialization” or hybridization if you will. Yet, in the post-Jim Crow era, with segregation nominally overcome, Elvis’ contributions to cultural awakenings were rather muted, at best. In a way, the Freedom/Civil Rights Movement in the United States revealed that formal repeal of the Jim Crow segregation laws was really not the whole problem. And, for that matter, the way that Elvis’ career took shape after his stint in the army, with “Col.” Tom Parker managing him through B-movie deals and other crass commercial moves, revealed some of the problems that remained depressingly intact despite Freedom/Civil Rights Movement victories to end legal cover for lynchings, improve educational access, gain formally unencumbered voting rights, etc. Blacks may have achieved some of those things, at least nominally, but they still lacked the sorts of power and wealth that white males enjoyed, and so many of the freedoms won in the 1960s were emptier than hoped. It was in this context that black militancy emerged, with the so-called black power movement. As those activities started to make tangible gains, the backlash was brutal. Elvis had no part in that story. The soulful, gospel-inflected sounds of Elvis’ early 1970s second peak retained some elements of both black and white culture. But the “city fathers” that Dylan referred to were there in the audience. Meanwhile, at the 1972 Wattstax music festival Jesse Jackson (before he became a collaborator with the system he condemned) gave his memorable “I Am Somebody” speech. If it still needed to be said that black people were “somebodies,” then the triumphalist quality of Elvis’ post-comeback music could be seen as a bit premature from a black perspective. Historian Jefferson Cowie, in his book Stayin’ Alive, described some popular musicians of the 1970s as being ambivalent about a status quo that privileges white males over women and racial minorities. It is a criticism not unlike Hannah Arendt‘s famous phrase about “the banality of evil,” something that reflects what some academics call “structural violence” — the everyday violence of an unjust world inflicted without conscious malice by participants. Elvis would therefore be “racist” if he failed to think about his role in such a system. This might pinpoint the critiques of Elvis as the alleged racist. The rebuttal would be the this makes Elvis a scapegoat, singling out one individual for something he took no conscious part in and perhaps ignoring similar conduct by others. It must be remembered, too, that Elvis was not highly educated and was neither particularly intelligent nor savvy, which is why he (notoriously) ceded so much control over his career to his manager “Col.” Tom Parker. Perhaps the criticisms of racism should be better leveled at Parker for steering the star in certain ways? It bears repeating that despite his great wealth (though he was quickly depleting that wealth by the time he died), Elvis never owned the “means of production” (and especially not the means of distribution, etc.) and remained an entertainment “worker” his whole life. He also came from humble working-class roots, and those who try to paint him as a racist might be using him as a scapegoat for what is really an elitist, anti-working class agenda. After all, does anyone blame workers who earn a living within an exploitative capitalist system? Here, it is worth avoiding the “beautiful soul” syndrome by which people insist on existing separately an apart from the corruption and evil of the world — something that is really a strategy of exerting moral superiority that depends on maintaining the existence of the condemned corruption/evil. Even as he became wealthy and was dubbed the “king of rock”, it is possible to view a king as a tragic figure confined by his position. Furthermore, there is a weird “identity politics” aspect to many of the accusations of racism hurled against Elvis. Often these accusers point to Elvis’ “structural” superiority making his action inherently suspect of racism. But the problem with this strategy of the accusers is this: “Its exclusive focus on structural weakness enables it to play its own power game, ruthlessly using structural weakness as a means of its own empowerment.” In this context, that the “accusations are very problematic if not outright false, etc., [is] dismissed as ultimately irrelevant.” Someone like Elvis is more or less automatically suspected of at least being a white supremacist, a cultural pirate, and guilty of racial insensitivity, and the accuser’s position of structural weakness gives her or him the power instead — a kind of valorization of victimhood status in which only victims can testify and accuse, as if victims inherently lose all ressentiment and are somehow purified “into ethically sensitive subjects who got rid of all petty egotistic interests.” “We thus enter a cruel world of brutal power games masked as a noble struggle of victims against oppression.” This is the seedy and almost segregationist underbelly of the position of the “beautiful souls” who crusade against Elvis’ supposed racism. In this sense references to “structural” racism end up as false flags that distract from what is really the pursuit of an ignoble individualist agenda, which suggests Elvis (as an individual) somehow represents the make-or-break difference between a structurally racist or just society and in which the accuser individually benefits (psychological or otherwise) from claiming to triumphantly reveal racism in what appears to be a race-neutral situation. In the final analysis, Elvis was instrumental in fostering black/white integration in the United States at a time before that seemed inevitable. He wasn’t a political activist though. Did he have an obligation to be one? Maybe, along with a host of other obligations to not hoard wealth and opportunities in the entertainment industry. But by the end of his life his fortunes were significantly depleted. It is asking perhaps too much to say that Elvis should have been out front in every progressive social movement that occurred during his lifetime. There was nothing consciously racist about Elvis in the available historical record, though from another perspective he was a rather obedient participant in an entertainment industry that included substantial racism and perhaps failed to adequately think about his role in the continued oppression of blacks and other minorities from the late 1960s onward, thereby failing to actively distance himself from those things (and sexism, etc.) when he had the wealth and power to do so. Anyone following Elvis’ career in the early 1970s will note the large number of live albums. Oh, there were studio albums too, even really good ones. But most of the studio albums came from just a few recording sessions, and some were bolstered with selected live material. This was the time of Elvis’ Vegas act. It’s worth putting that in more perspective though. The King hit it big in the 1950s, as the first rock and roll superstar. But as his star rose, and he started to get into the movies, he was drafted into the Army and spent a few years stationed in Germany before returning to a musical career. He recorded as soon as he got out of the Army, but attention soon shifted to the movies. He didn’t perform concerts. His albums were movie soundtracks, sometimes improbably including a good tune (“Viva Las Vegas”), but for the most part — Elvis openly admitted as much in his later years — they were terrible. But with his Hollywood career going strong, he was resting his voice. It did not suffer from years of hard touring. He also made no attempt to be relevant in the era of Beatlemania and the British Invasion. He suddenly came back with a late-60s TV special and his first new non-soundtrack album in what seemed like forever. And then he started a Vegas act. These career paths were unprecedented. There simply weren’t any rock superstars before Elvis, so no one knew what they would do as they got older. No rocker had ever made a “comeback” before. But he could do it in part because he semi-consciously took time off from a focus on music, and the lack of touring meant his voice was ready and waiting for the task. There also weren’t any rock and roll themed Vegas acts, which was given over largely to Rat Pack style crooners, Liberace-like spectacles, and non-musical acts, of course. The signature feature of Elvis’ show was that it became huge, in terms of having an enormous cast of musicians supporting him. He performed enormously complex arrangements of old hits and new songs. And he and manager Col. Tom Parker always seemed to find great songs to incorporate into the act that fit Elvis like a glove. The success of this style of show rested in large part on the tremendous amount of hard work that Elvis put into it. But keeping the show going, often with two shows a night, took a toll. Elvis notoriously had a growing drug dependency, one exacerbated by the pressures of the entertainment industry. Despite hugely successful stands at the International Hotel in Vegas, big shows at Madison Square Garden in New York City, and the first ever globally televised concert Aloha From Hawaii Via Satellite, by 1973 he was collapsing and being hospitalized as a result of his failing health. 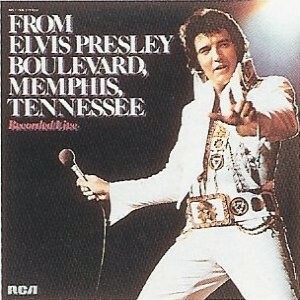 So then we arrive in 1974, when Recorded Live on Stage in Memphis was recorded March 20th at the Midsouth Coliseum. In 2004 a reissue of this album presented the entire concert, but the original album featured only an abridged selection of material from the show. The entire show followed more or less the same familiar formula as nearly all of Elvis’ concerts and live albums of the previous few years: commencing with “Also Sprach Zarathustra” (known as the theme to 2001: A Space Odyssey), then right into “See See Rider”, with a medley of 50s hits in the middle and familiar tunes like “Polk Salad Annie,” “An American Trilogy,” “Funny How Time Slips Away,” and “Suspicious Minds” littered throughout. But what is most intriguing about this album is how it differs from the usual format of the previous few years. There is a big band, but not with an emphasis on a huge string orchestra. There are more intimate moments with Elvis singing just with a piano. He also does some gospel songs. Unlike most of Elvis’ live albums, the crowd is readily audible (though allegedly some audience noise is overdubbed). It does sound at times like the band, and Elvis, have tired some of playing the same songs yet again, the same way as always. But those concerns fade when listening to “Why Me Lord,” “How Great Thou Art” and “Help Me.” What is unfortunate is that there does not seem to be the same level of effort in expanding and evolving the act as there was a few years earlier. These are just minor adjustments meant to perpetuate the same successful formula. This isn’t the best of Elvis’ live albums of his musical comeback. It’s still a good one, with elements of widespread appeal. It is best admired by fans who have heard his other material of the era and want something more that sets off in a similar direction with a few tweaks and slightly different material. It’s too bad Elvis couldn’t just retreat back to the movies and then emerge in the late 70s/early 80s backed by a punk-like trio…oh, you know it might have worked! Even Bob Dylan almost went with it in the early 80s. Today brought Elvis back into the recording studio for the first time in well over a year, since the sessions for Good Times (the follow-up Promised Land was compiled from outtakes of those sessions). It finds Elvis in something of an identity crisis. He dabbles in a little of this and a little of that, but never settles into any particular style. There is a little bit of countrypolitan flavor in everything, but the individual songs range from boogie rock (“T-R-O-U-B-L-E”), to soul/R&B (“Shake a Hand”), to easy listening (“And I Love You So”), to straight contemporary country (“Fairytale”). The problem is that little really clicks. Elvis is stuck in the realm of the mediocre, which is territory he hadn’t really found himself in since the days of recording movie soundtracks almost a decade earlier. Yet the mid-tempo country stomper “Susan When She Tried,” the ballad “Pieces of My Life” and the R&B torch song “Shake a Hand” are okay. Biographer Peter Guralnick noted that these sessions weren’t as fun as ones a few years earlier, and that this was a time when Elvis’ entourage was shifting around and he seemed to not know who to trust as his personal relationships became exceptionally shallow. Elvis perhaps could have stood to just pick a style and go with it, like a more extensive trip into boogie rock territory, doing a Little Feat cover (“Oh Atlanta” or “Two Trains,” for instance) or even just bringing Little Feat into the studio with him. But really, it wouldn’t matter which direction he took. Picking one would have given him a chance to focus and improve on a single sound. Yet committing to anything on a deeper level was probably the biggest overall problem facing Elvis in 1975. As it stands, Today is a middling effort with hardly any songs that stand out. Anyone paying attention to Elvis’ career in the early 1970s, well, more accurately, since his 1968 TV special comeback, should have noticed some fierce music coming from The King. His live shows were rightly a spectacle worth witnessing, and his albums were every bit as good. But all that came to what in hindsight seems like a grinding halt somewhere in late 1972 or early 1973. It was around that time that Elvis performed his historic live via satellite “Aloha from Hawaii” concert, which was good but seemed to still find Elvis starting to slip a little. He wasn’t recording in the studio to speak of, and crummy offerings like Elvis (Fool) and Raised on Rock seem kind of like a slap in the face for fans. Oh, and they hadn’t even been hit with 1974’s scathing tribute to Roe v. Wade Having Fun With Elvis on Stage yet! So along comes Good Times, recorded at Stax Studios in Memphis, and on paper it looks like Elvis is actually trying again. But then the music plays. This album makes for an excellent case study in how every conceivable decision can be made wrongly during the recording process. The songs, for the most part, are sappy and stupid, the strings and backing vocals treacly and overbearing, and Elvis seems adrift. Case in point is Tony Joe White‘s “I’ve Got a Thing About You Baby,” a song actually suited to Elvis perfectly, but for which there was a superior outtake version that only appeared posthumously on a few collections. The version here has Elvis almost hidden behind strangely echoed vocals, random string passages, dripping piano runs and depressingly satin guitar riffs. Crap-ola like “My Boy” and “I Got a Feelin’ in My Body” seem like the sorts of songs that would be forced on Elvis if he was doing a weekly TV variety show and was running low on material, but an army of largely talentless orchestral arrangers were on hand to adapt cop show background music at the King’s behest. Elvis had, suddenly, become a self-parody. Or so it seems. The same recording sessions produced material for Promised Land, which simply blows this out of the water by comparison, even if Promised Land is no classic. And that really is the final knock on this album. Faced with superior material, it was, for the most part, passed over to release this garbage first. The middle-of-the-road “Talk About the Good Times” sounds alright mostly in comparison to the terrible stuff elsewhere on this platter. But that’s a small consolation. From here on out, Elvis’ problems would be many, both personal and professional. His albums would only intermittently succeed on the strength of a few heartache ballads and down-and-out weepers, on those occasions when his band didn’t spoil the sadness and loneliness in his voice. The good times were mostly over. When people see the late-career Elvis as a bloated, cliched wash-out, they probably have recordings like From Elvis Presley Boulevard, Memphis, Tennessee in mind. Recorded in the campy “Jungle Room” of his own Graceland mansion with mobile recording equipment, these songs reflect a tired soul retreating to a safe haven, away from the world. Mostly lonely heartbreak ballads, these are bleak songs. You can feel Elvis’ connection to the mood. Yet, the main limitation is the slapdash quality of the instrumental music behind The King, offering mostly a cookie-cutter countrypolitan sheen with treacly strings that bowl over the nuance in the vocals. In a way, the backing tries to take depressing songs and make them cheerier, which is entirely counterproductive. Elvis’ band members were already seeking other opportunities. It seems like supporting him was becoming a low priority for them. Though in fairness Elvis provided little direction and the cramped recording locale hardly helped. The net result is to make this album a little dull. It won’t convince anyone of the real depths of the man’s talents. Yet, if you make an effort there are some worthwhile things here, and Elvis does sing reasonably well. It’s fascinating to compare the careers of Elvis Presley and Johnny Cash. Both came from rural origins and both broke through on Sam Phillips‘ Sun Records in Memphis. Both developed drug problems in the face of grueling touring schedules and the enormous pressures of the entertainment industry. Elvis became a movie star and then jumped right back into music full time with a fascinating TV special. Cash hosted his own TV musical variety show and then toured with a large revue show not unlike Elvis’ breakthrough Vegas act. By the end of the 1970s both stars had faded. Cash made a comeback in the 1990s, while Elvis had made one himself in the late 60s. Of course, the two stars couldn’t have had more different personalities. Cash had a reputation for always insisting on doing things his own way, while Presley was timid and non-confrontational when it came to his career. When Johnny Cash made his comeback, it was by mining the darker elements of his music, with faddish attempts to sound “current” taken away to leave just a raw, “authentic” folk sound. In a way, Elvis was also mining the darker aspects of his music shortly before his death, but his handlers didn’t seem to understand how to deal with that kind of approach. 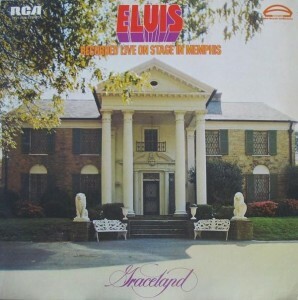 Someone should go back and strip out the harps, string orchestration, stuffy horns, and some of the backing vocals (much like what was done on Naked Willie), and maybe even re-record new backing instrumentals (the approach of Guitar Man), because there is definitely something to be found in Elvis’ performances here of value, if separated out from everything weighing them down. Elvis was a legitimate fan of gospel music. So it should be no surprise that he can reproduce the style of The Trumpeteers on “Milky White Way”, The Golden Gate Quartet on “Joshua Fit the Battle [of Jericho]”, The Staple Singers on “Swing Down Sweet Chariot”, and so on. It is somewhat amusing to hear Elvis embarrass himself on whitewashed version of these songs. Well, that’s a bit harsh. It’s not that the performances are that bad per se, but a hallmark of gospel music has been song arrangements. You can measure a gospel act by how they put their personal stamp on their rendition of a gospel standard. Elvis just doesn’t deliver on that score. The arrangements here all tend to be highly derivative of classic pre-existing recordings, and to the extent they sound a little different it’s only because of the uniformly bland, rubber-stamp 50s-pop backing harmonies. This is just making black music more palatable to white audiences, and that holds little interest more than fifty years later. From another, kinder perspective you could say Elvis knew how to pick good songs, but in his performances he’s too deferential here to the artists whose versions of the songs inspired him. Either way this album is self-indulgent and stupid. Elvis’ two later gospel albums How Great Thou Art (1967) and He Touched Me (1972) are both much superior. 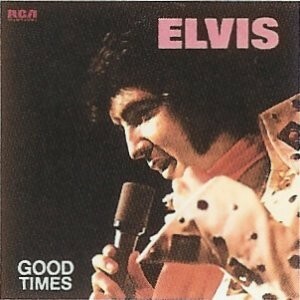 Another good one from Elvis’ second golden era. Just look at the album cover! That, my friends, is an Elvis album cover. When Elvis made his musical comeback with a 1968 TV special, after about a decade wallowing in dreadful Hollywood B-movies, he did something that is the hallmark of every musical comeback. He took a kernel of something that was always present in his music and thrust it to the forefront. Other examples are Leonard Cohen and Johnny Cash. When Cohen came back in the late 1980s, he made a change from his reputation as a purveyor of depressingly dark songs to a kind of jokester delivering deadpan humor left and right, but in hindsight the humor and wit was always there. He was always winning over listeners by creating a sense of mutual belonging, and that frequently meant that he used humorous devices. When Cash came back in the early 1990s, he emphasized his voice almost in isolation and sang mostly songs with dark themes, occasionally with a sardonic approach. He resurrected his voice as his greatest strength. Yet Cash’s voice had always been a major strength. He always used it as a force that could not be contained, by anyone, anywhere. With Elvis, his post-comeback period banked on one characteristic: his charm. There was a documentary film (That’s the Way It Is) made in conjunction with the making of the album, and in both the studio sessions and the live concerts Elvis is utterly charming. In the studio he joked with his band, and effortlessly switched between “bandleader” directing the shape of the song arrangements and “buddy” goofing around with his friends, and in that way building up a rapport with his band that gets him the desired recording. On stage, he was always enrapturing his audience, whether leaning down at the edge of the stage to give out kisses to audience members, or joking about his pants being too tight as he bends down closer to the audience or does karate moves. Of course, he was always a charmer, but when he arrived on the national stage in the 1950s he relied more on a cool, rebellious swagger and brashness than pure, unadulterated, charismatic charm. But even during his ’68 comeback special, he laid on the charm when conducting more intimate sessions with his old supporting musicians, running through some of his old, classic rockabilly songs. The charm built connections to the audience. This provided context for the rest of his music that would not otherwise be there. The audience can listen with different ears. During this Vegas show period, Elvis developed a band and a sound that fit his charming personality — of course later on this would be a liability as he seemed to struggle to turn it off and lacked meaningful personal relationships as a result. Following somewhat the template of pure pop (showtune) singers like Judy Garland, he did big, orchestrated pop and soul songs that gave him opportunities for soaring vocal treatments. Songs like “I Just Can’t Help Believin’,”You Don’t Have to Say You Love Me,” “You’ve Lost That Lovin’ Feelin'” and “Bridge Over Troubled Water” are nothing short of amazing. It’s the smooth, sultry power of Elvis’ vocals that gives the performances a sense of overwhelming intensity. And there is no need to resort to flashy gimmicks (like Liberace). This music just feels big and commanding, as if it simply has to. Elvis doesn’t have to pull the music along. It as as if he is tapping into something bigger than even him. The weakness of this album is that a few of the studio tracks — “Twenty Days and Twenty Nights” and “Mary in the Morning” — kill the energy maintained by the rest of the album. For Elvis, this holds, it seems. His earthy and muscular emotional range embodied a kind of work ethic. It was a style that valued the hard work and labor that goes into his music. An audience that valued a life of work could relate to such an attitude. But Elvis, too, was nimble and varied in his use of these attributes. And he suggested a virile benefit to this sort of an attitude. But none of this is forced on the audience by the music or Elvis’ performance. It is assumed by the totality of the show. Elvis’ approach was unlike that of other Vegas-style entertainers. Axel Stordahl was the conductor who worked with Frank Sinatra in the 1940s. It is instructive to contrast the approach of Elvis and his orchestral conductor Joe Guercio. Stordahl deployed syrupy and treacly strings that established a rather static foundation upon which Sinatra crooned. It conveys a sense that the singer is in his place. The music will not go anywhere. It will remain where it belongs. And in that space, the singer, and he alone, has the ability to deploy his considerable talents to dazzle. It is actually a fairly simple twist on a rather old performance trick. Sidney Bechet, the jazz saxophonist, used basically the same trick in an earlier era. A “star” soloist working with a large orchestra will have the orchestra “sandbag” their performance. That is, they play simple stuff, that lumbers or is overtly bland, or maybe even feigns a kind of sourness. Any or all of this provides a foil for the star soloist to work against, allowing even small and otherwise unimpressive embellishments to seem bigger and flashier than they really are. It wows audiences by suggesting that the soloist is better than them, because not even the backing musicians can do what the soloist does. This is partly the secret of Sinatra’s music with Stordahl. In Bechet’s case there was a twist. There at least in context there was a statement that said even a black man (legally a second-class citizen) was better than some others, though problematically the use of orchestra sandbagging undermined that claim by presenting it as (only) a lie — Louis Armstrong would have to come along to prove it while working in front of great musicians for the point to be indisputable. Elvis had a sweaty, visceral energy to his performance that made the forward drive and power of the entire ensemble palpable. He worked with a conventional guitar-based rock band, complete with drums and electric bass. This provides syncopation that propels the music forward. The orchestra extends and fills out the sound of the rock band. The Guercio orchestra didn’t sound static at all. They use swelling dynamics to accentuate dramatic surges, and the wind instruments extending beyond conventional limits for proper tone to have a pulsing drive that magnifies the energy level. It’s a kind of modernism that calls attention to the medium of orchestration itself. The distinction may be subtle, but the Guercio orchestra adds more than punctuation to the rock band or padding to the tonality of the rock band’s instrumentation (though they do some of that too). They provide a kind of raw mass to the overall sound, that has the feeling of movement along with the rock band and Elvis’s vocal. An analogy would be to movies, in which the good guy or bad guy, usually one possessing magical or superhuman powers, floats into a scene accompanied by fog or smoke. The fog/smoke billows along with the character, filling up the space on screen, conveying a sense of power larger than the actor’s physical build. This is what Elvis’ great Vegas stage show delivered in its prime. It was the musical equivalent of expanding a sense of space in film. But rather than the kind of laser light shows that became a side-show fad for some rock acts, this was a musical force that envelopes the audience. This is the key difference between Elvis and the other sorts of entertainers that preceded him on big stages. Elvis’ show was about making and maintaining an emotional connection to the audience. The audience was positioned at his level, not as an aside, but in both his music and in his on stage antics (kissing audience members, etc.). Go back to Judy Garland’s style. On her famous Judy at Carnegie Hall live album she tells a funny story about a hairdresser in Paris. While this story does charm the audience, it simultaneously reaffirms her elitist stance vis-a-vis the audience. Going to Paris (for work or otherwise) is not the stuff of the ordinary person on the street. 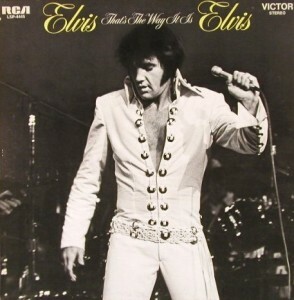 Elvis sings songs on That’s the Way It Is that are overwhelmingly about personal relationships. This is something that anyone walking in the door to a Presley concert, no matter how humble, has the potential to relate to. When Elvis emerged in the 1950s as the symbol of youthful rebellion, it was partly an earnestly apolitical stance that wagered that social elites would not recognize how his swagger and songs about earthly romance could build a bridge across Jim Crow racial lines by way of an audience of youth. Elvis’ “comeback” likewise used his charm through the medium of romance songs to advance revolutionary democratization through music. What made his comeback so remarkable was how he had managed to reconfigure the sound and instrumentation of his music to use the same element of charm to achieve a different objective. Elvis undoubtedly deserves the title of “king” bestowed upon him, because he did these things with a kind of aristocratic benevolence. These aren’t new ideas. But Elvis actually pushed them forward to a wider swath of the population and therefore more effectively than maybe any other. Addendum: There is an expanded edition of the album That’s the Way It Is: Special Edition (2000) that is worth it for the fan. The third disc has outtakes that run a bit thin in places, but the collection includes two entire concert performances with stellar performances the build on the success of the original live/studio album. When searching for an allegory for Elvis’ later career, it’s tempting to think of Icarus, who flew too close to the sun with his wings of feathers and wax and then plummeted into the sea. Although that Greek myth is often seen as a tale of hubris, there was no hubris whatsoever in Elvis’ iconic early 1970s live revue. That was the Elvis who invented the big Vegas rock show, and who put on show after show to audiences of 2,000 or more, often twice a night. Some claim that when he was performing a full 50% of visitors to Las Vegas went to an Elvis show on their trip! It takes only a cursory perusal through Elvis’ early 1970s live albums to find that this was a man who could deliver huge songs with an amazing level of emotional commitment. This wasn’t someone who thought himself the king of rock, this man was the king of rock. So instead of Icarus, the better analogy is that of John Henry the legendary steel-driving man (a real person!) who outdid a railroad spike-driving machine, but at the cost of his life. It’s the story of the human toll of modern existence. The only way Elvis could do what he did as long as he did was with a steady supply of drugs. He couldn’t stay ahead of the drugs forever though. Inevitably, and invariably, those who surpass ordinary human limits fall. So it’s more a question of sacrifice. Elvis did too much. But Elvis was an American icon precisely because rash excess seems like a national vice, and also because he did these things for us — the audience. 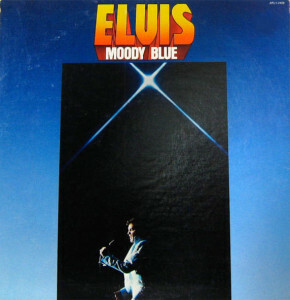 It is on Elvis’ descent, actually just before his death, that Moody Blue arrived. It is a patchwork of live recordings from as far back as 1974 (the previously-released “Let Me Be There” from Recorded Live on Stage in Memphis) plus some “studio” recordings from the Jungle Room of his Graceland mansion (from some of the same sessions as From Elvis Presley Boulevard, Memphis, Tennessee). This album is flawed, surely. Seeing the inclusion of a track from a previous album reveals how little new material was available. And “Little Darlin'” is every bit the moldy oldie it appears. 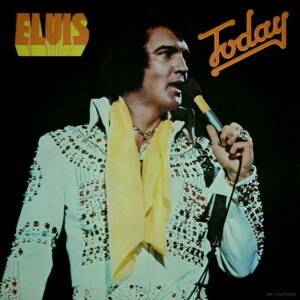 Elvis’ voice seems to lumber, moving in one direction and sticking with it. But by and large there is a weepy country vibe here that suits Elvis’ dark and tragic approach to what are mostly sad heartache tunes. This is a soundtrack to a lonely night crying into your beer. It’s far from Elvis’ best. Yet it might be the best he had to offer this late in his life.